London's event takes place on Saturday 10th October at the Bloomsbury Bowling Lanes in the basement of the Tavistock Hotel in Holborn. The whole event costs a mere £5 and kicks off at 4pm, ending at the outrageous hour of 3am the following morning. But for your devoted attention you will get 20 bands (so far), 14 DJs and several floors of full-on Peel-esque entertainment designed to help you relive the days of sneaking your radio under the covers and hearing the latest or classic (or both) racket with little fanfare. Some of the bands confirmed include Tender Trap (ex-Talulah Gosh and Heavenly members - both bands were Pell regulars back in the 80's), Monster Island (allegedly sound like the Fall and Pavement), MJ Hibbert & The Validators (award-winning BBC6Music-loved Fringe-performers) and Beatnik Filmstars (veterans of 5 Peel sessions). After all of the bands vanish, the DJs open up 2 club-nights with Peely-type sounds - hopefully not played at the wrong speed! Manchester is hosting a similar night on the 10th with Marc Riley booked as compere and DJ and Malcolm Middleton (ex-Arab Strap and Peel stalwart) and The Loves (pizza-loving Peel-session troubadours) performing during the evening. Tickets cost £10, the event starts at 8pm until 2am and takes place at the Oldham Street venue, Night & Day Cafe. 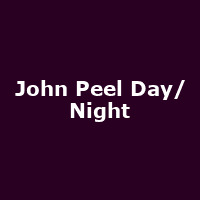 And on Saturday 24th October (one day short of the fifth anniversary of John's passing), the Georgian Theatre will host it's John Peel day starting at 3:30PM featuring Shrug, Das Wanderlust, Persil, Temujin and DJ sets from Nicky Peacock and Rob Wall, with others to be announced.